Touch it up! 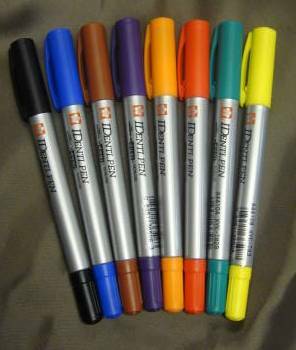 Color with a dual point permanent marking pen. It's fade resistant and waterproof. A tough fiber fine point on one end and an extra fine plastic tip for detail work. Colors included: Black, Red, Blue, Green, Brown, Purple, Orange, and Yellow.